Aquavilla is calm, spacious and well-appointed. A place for you to recline in ease, enjoy a coffee or a glass of wine, immerse in a good book and simply soak up the tranquillity. Enjoy an easy stroll to the sheltered beach and the excellent local eateries, boutique shops and galleries. Continue your stroll along the seaside promenade to soak up the stunning coastal scenery with local architecture, heritage and seaside lifestyles on display. Sunsets, bird and sea life also await your discovery. Further vistas and adventures await in the surrounding areas with an extensive choice of activities including extended walks, bike paths, golf, adventure parks and cultural centres. We are always happy to share our local knowledge to ensure you enjoy your visit. Wellington is 20 minutes away by car or a 30 minute convenient train ride. •	Queen size bed with superior quality bed linen. •	Single bed with an additional single bed or futon double bed to suit your requirements. •	Lounge area with outlook to the front garden. •	Free WiFi, 32 inch flat screen TV, DVD player and a speaker for a phone/pc. •	Kitchenette with microwave and fridge/freezer. •	Luxury bathroom with shower, hand basin and toilet. Gas hot water. •	Kiwi breakfast ingredients are available in your studio including seasonal fruits, home-made muesli, jam, preserved fruits and yoghurt accompanied with cereals, bread, butter and honey. •	Tea and coffee making facilities. •	Sheltered rear courtyard and front garden with outdoor furniture and BBQ. •	Street and off street parking. Aquavilla is a separate studio with all the comforts of home. Quiet and comfortable. Aquavilla is ideally located in the heart of Plimmerton with a short drive or train trip to Wellington, Porirua and Kapiti. Plimmerton is blessed with many cafes, restaurants, hairdressers and a general store. 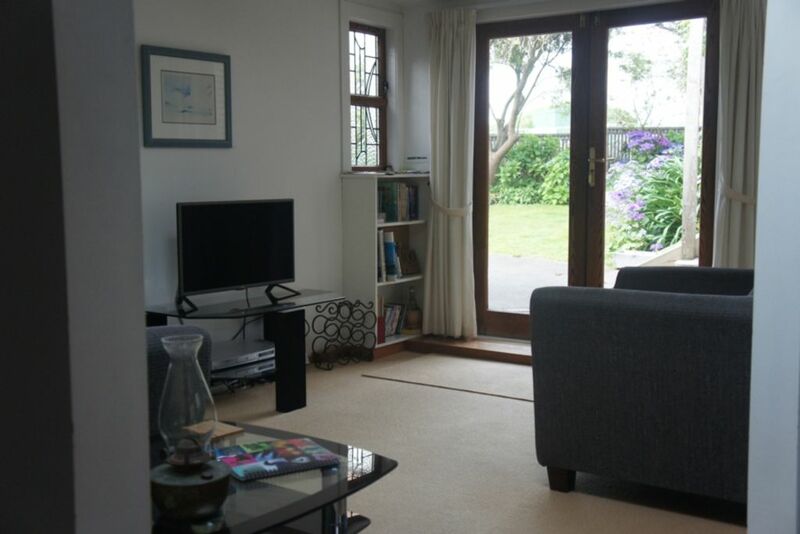 A quiet sheltered beach is two houses away on Bath St.
Great location and very accessible. great accomodation in a fantastic area. great accomodation in a fantastic area. The local eateries are awesome (polish bistro, greek fish and chip shop, pizza, thai) as is the picturesque setting of plimmerton. We will be back for sure. Really nice property. Great to have the brekkie included however would have loved a tea bag to have a cuppa with my breakfast. Only a very small thing and overall very lovely modern and clean studio. Aquavilla was exactly what we were looking for. Aquavilla was exactly what we were looking for. Beautiful stay.